She was known as Mama, Mum, Nonna and affectionately before she died, Biz Nonna (great Grandmother) but her name was Rina and she was the cherished matriarch of the Tesoro family. She was muse to Francesco, our Nonno, Tesoro’s founder. She was always by his side supporting him with unconditional love right up until the day she took vigil by his side on his deathbed, still checking under the covers to make sure his feet were warm enough. He was everything to her and she was everything to him, they came from a small town in the hills of Tuscany just outside the town of Lucca. Life wasn’t going to be easy for them, they married young as Nonno was drafted for World War II, leaving his young bride to wait anxiously for his return. Years passed, Nonno was captured and became a prisoner of war. She never faltered in her faith he would return and he did, 3 years later. They went on to have one Son, our father Enzo, complications in birth meant he would be their only child. He was the apple of their eye and they both wished to be able to give him a better life than what the small town could offer. The difficult decision was made for the family to separate again temporarily, so Nonno could come to Australia, in search of a better life. Even though life wasn’t easy in the small town on her own with a small child, Nonna did what Mothers’ do, she gave her all to raising our Dad. Despite how much she missed my Nonno, she stood strong and never faltered as his support so he could do what he had to do to make a better life for them in Australia. A year and a half later he was finally able to send for them to join him as he had found work in a foundry. Happy to be reunited, life still wasn’t easy for them, Nonno’s work was hard, hours were long and they struggled to adjust to a new way of life and the language barrier. Again, our Nonna never faltered by his side, she remained the backbone of the family and they built a life for themselves in Australia. Everything they did, they did for their son our Dad, driven by the desire for him to never have to struggle like they did. At some stage in their lives, Francesco had gifted his love a precious gift of a pair of gold earrings and a gold chain. 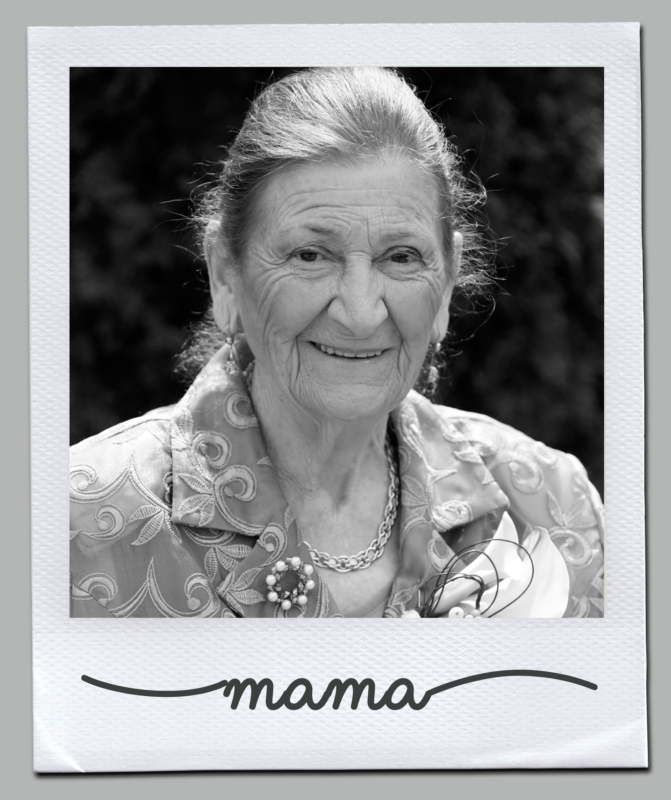 To this day we are hard pressed to find a memory of our Nonna when she wasn’t wearing them. Nonna cherished these items so much she rarely took them off. In fact, it was her love for these pieces that inspired Nonno to start the Tesoro brand in 1973. He had family back in Italy in the trade and he loved the idea of being able to provide jewellery to women who could love and cherish it as much as our Nonna did. So that’s exactly what he did, he worked hard and established the brand in Australia. Eventually passing it on to our Dad, they were able to give him the better life they had dreamt for him. He then in turn passed it down to us. Now here we are in 2018 still trying to keep our Nonno’s vision and legacy alive. In today’s throwaway society we still strive to produce beautiful, unique, quality jewellery for women to love and cherish same way the way our Nonna loved and cherished her precious items. So, this Mother’s Day, we reflect upon and celebrate our Nonna Rina, the inspiration she provided to our Nonno and the sacrifices she made for our family, without her we wouldn’t be here today.